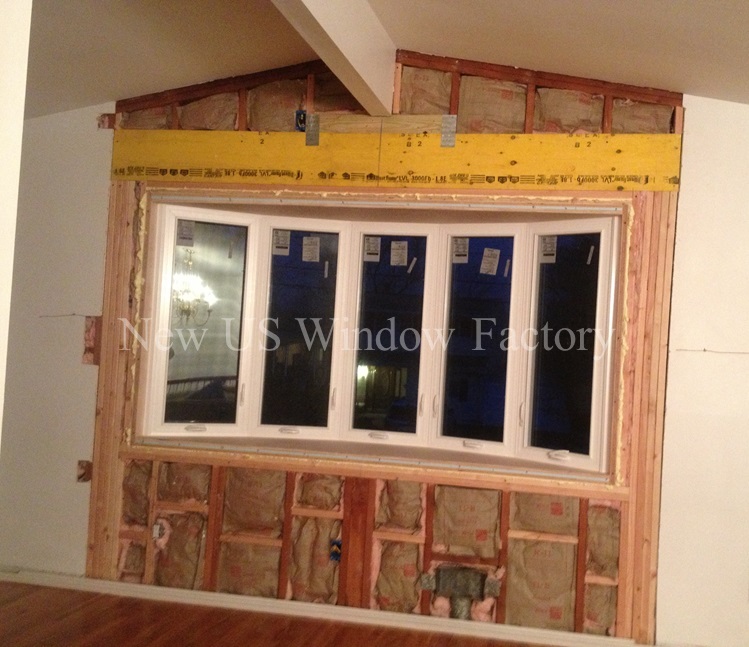 Replacement Window Project 1b | New US Window Factory, Inc. Published February 11, 2014 at 749 × 647 in Specialty Window & Door Projects. New framing. Quadruple 2x4s on each side, supporting double ply-lam beams, which now support the ridge beam. Construction is actually stronger than before.